The BioInnovation Institute is pleased to announce the board of directors for the three-year establishment phase, presenting a diverse slate of life science industry experts and community leaders with proven experience in entrepreneurship, research, innovation and seed and venture investments. The newly appointed board of directors includes Sten Scheibye (Chairman), Bo Ahrén (Vice-chairman), Hans Schambye, Martin Bonde, and Thomas Schäfer. Meet the board of directors of the BioInnovation Institute below. Sten Scheibye was a member of the Novo Nordisk Foundation’s board of directors and Chairman of the board from 2013 to 2018. He holds a MSc in Chemistry and Physics from 1978 and a Ph.D. in Organic Chemistry from 1981, both from the University of Aarhus, Denmark. In 1983, he obtained a BComm from Copenhagen Business School. From 1995 to 2008, Sten Scheibye was President and CEO of Coloplast A/S, Denmark. Before joining Coloplast in 1993, he served as Senior Vice President, Sales & Marketing in Leo Pharma A/S, Denmark. He joined this company in 1981. Sten Scheibye is Chairman of the Danish Industry Foundation, RMIG, Knud Højgaards Foundation, Højgaard Ejendomme A/S and Healthcare DENMARK. Bo Ahrén Vice-chair, Professor, Lund University, med.dr. Bo Ahrén was a member of the Novo Nordisk Foundation’s board of directors from 2005 to 2017. Bo Ahrén is pro-vice-chancellor of external engagement and professor of clinical metabolic research at the Department of Clinical Sciences in Lund. He conducts research on diabetes and has been involved in developing new drugs to treat type 2 diabetes. He has previously been chief of medicine at Region Skåne and head of the research clinic at Skåne University Hospital in Lund. Hans Schambye is a biotech executive with a background in corporate strategy, financing and management, drug discovery and development. He has an extensive biological understanding of diseases, experience with pharmaceutical business development and market analysis for drug products and portfolio management. Martin Bonde, CEO at Vaccibody, Ph.D., Chemistry. Martin Bonde has + 25 years of international experience from the biotech industry and has held several leadership positions as CEO for e.g. Epitherapeutics Aps, Natimmune A/S, Combio A/S, Torsana Biosensor A/S and Ostemeter Biotech A/S. Thomas Schäfer, EVP & CSO & board member, Chr. Hansen A/S, Ph.D. Microbiology, Physiology, Biochemistry. Senior management professional with +25 years of R&D and business development experience from the bacteria and enzymes industry. He is a co-inventor on a number of patents as well as publisher of several scientific papers and publications with WWF, WEF and the German Bioeconomy council. In December 2017, the Novo Nordisk Foundation decided to establish the BioInnovation Institute (BII) to promote collaborative, interdisciplinary research-based innovation in the life sciences. The implementation activities are now well underway with BII operating as a department within the Novo Nordisk Foundation during the establishment phase from 2018 to 2020. The 3-year establishment phase will focus on building the transition phase that takes life science projects through a detailed business acceleration process and the incubation phases that support life science projects and start-ups towards becoming financially viable. 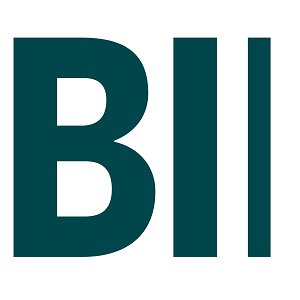 This will enable existing research in the life sciences to benefit quickly from the opportunities offered by BII. During this period, BII will be anchored in the Novo Nordisk Foundation. After the establishment phase is evaluated, the Novo Nordisk Foundation’s Board of Directors will decide whether to establish BII as an independent foundation for years 4–10. When this happens, all activities and results from the first 3 years of operating BII will be available to the new foundation. This enables the first 3 years to be used to build a solid framework to ensure that BII starts well.